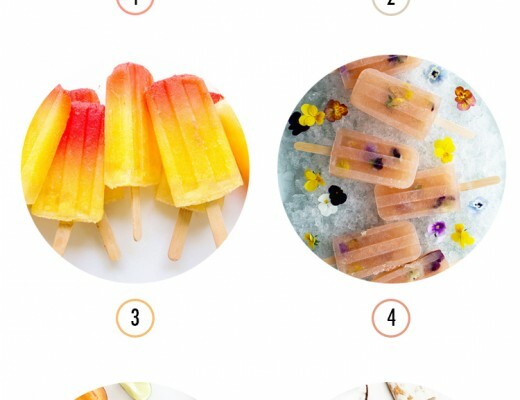 Usually tropical drinks pop up when the heat of the summer has us melting quicker than a popsicle. 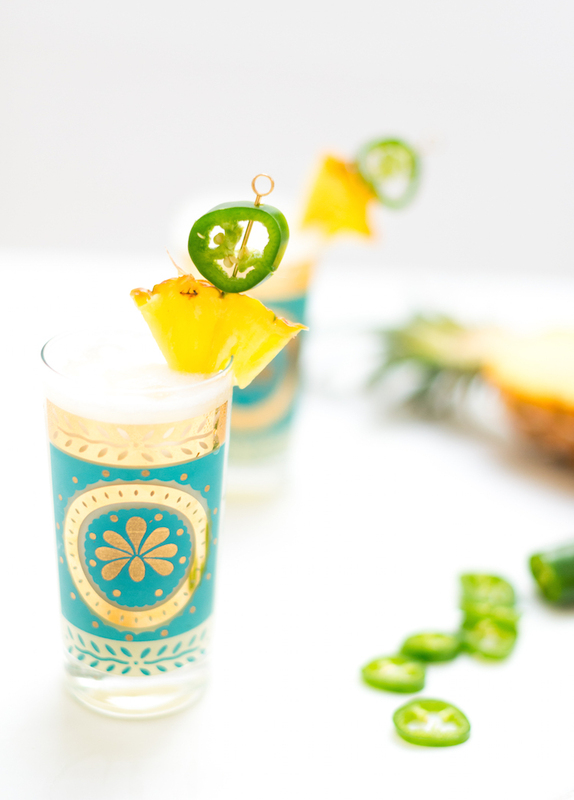 Today’s tiki drink has some heat to it so it will keep you warm while the last of the winter chill still lingers. 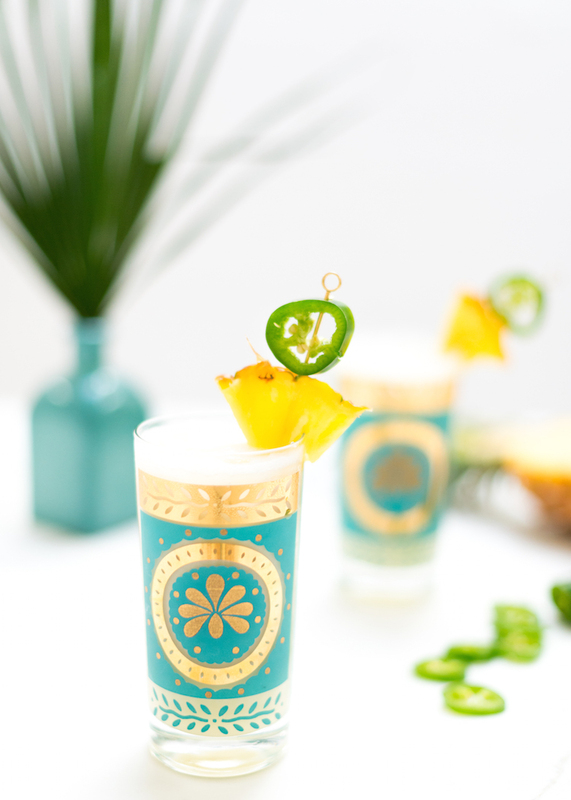 This weekend is calling for a round of these Jalapeño Pina Coladas, don’t you think! Jalapeños can cause a burning mouth of fire. 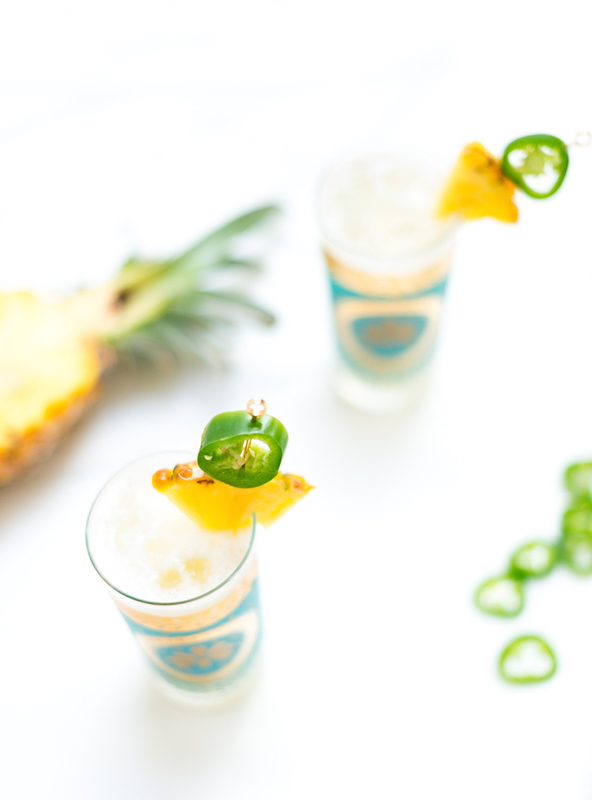 Adding sweet, fresh pineapple juice and cool, creamy coconut tempers that heat. 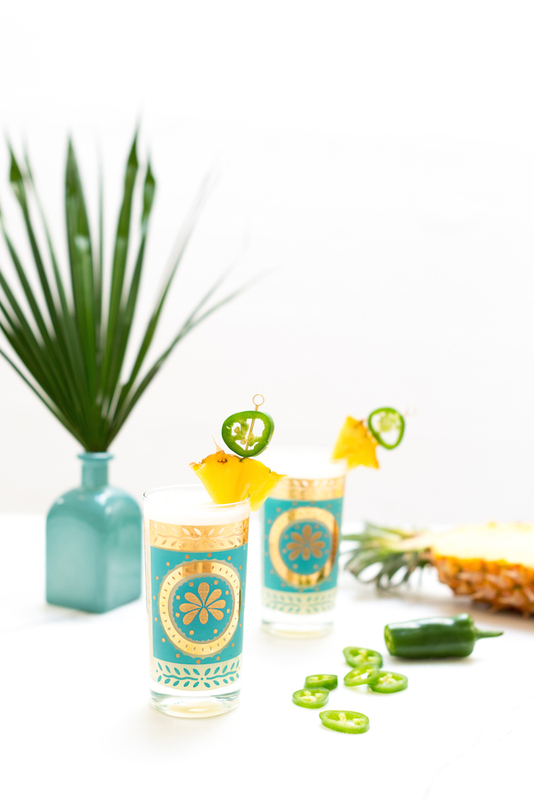 It’s smooth and sipable with tinges of spiciness that work in harmony, leaving a linger heat in your mouth that has you coming back for more of this tropical drink! Be sure to use coconut creme and not milk. It’s thicker and creamier and will help balance the heat from the jalapeño. Trader Joe’s has cans of coconut creme as do most grocery stores. 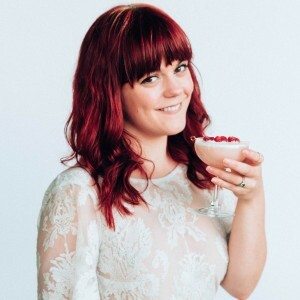 Be sure not to use the saccharine bottled versions, they are like a coconut creme syrup and will make the drink too sweet. Juice pineapple Slice jalapeño and remove seeds. Place in a shaker. Muddle well. Add the rest of the ingredients into the shaker. Shake vigorously with ice. 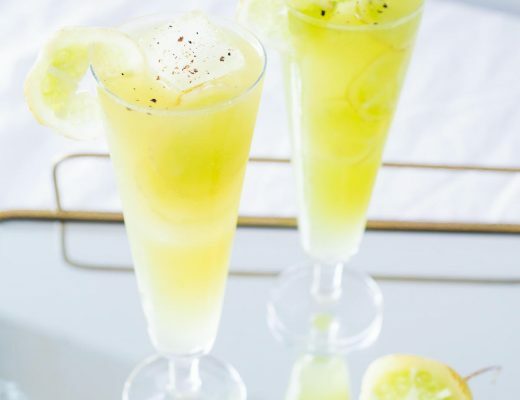 Strain into a tall glass with pebble or crushed ice. 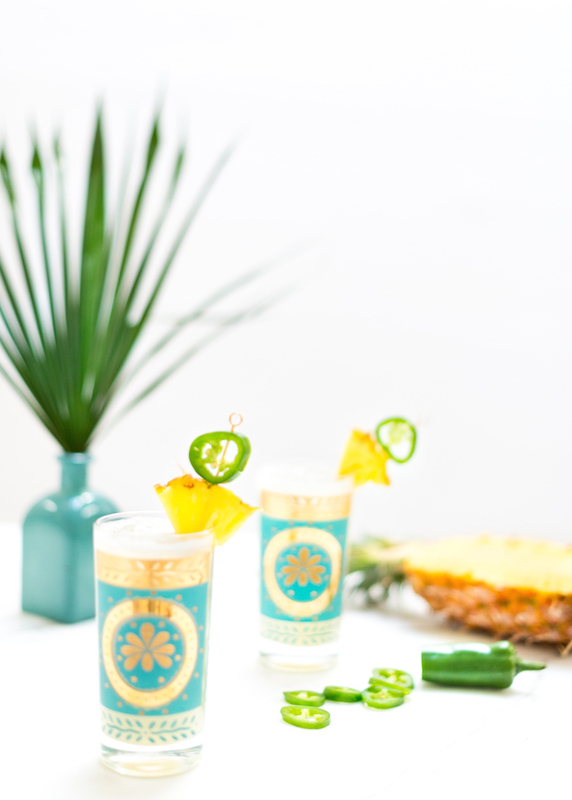 Garnish with pineapple and jalapeno slice. Wow, this sounds so delicious! Thanks, Hannah! It really is! 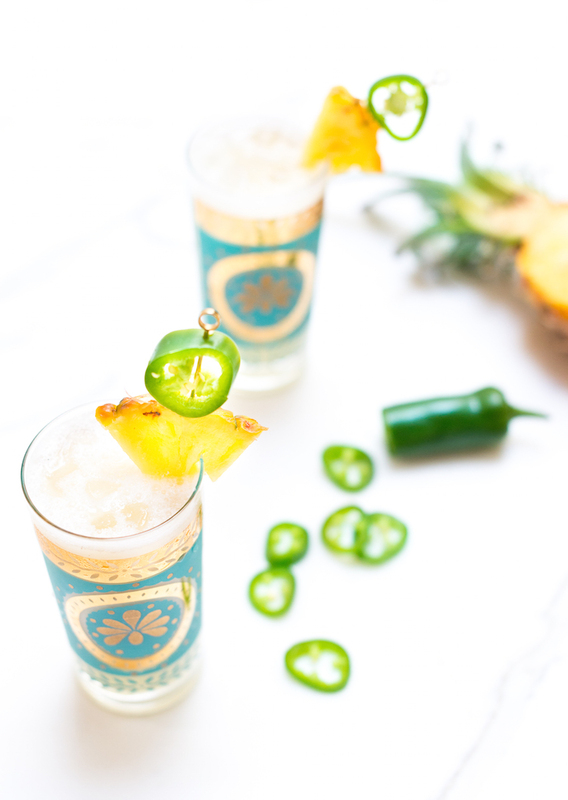 I’ll never get tired of mixing spicy with rum, pineapple, and coconut!! :-)))) And you HAVE to tell me you’ve tried St. George’s jalapeño vodka. I just did, and it blew me away. If I can’t find any fresh peppers, that would make a divine substitution. 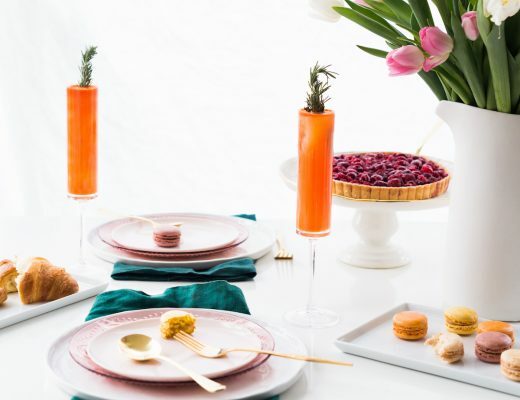 PS – I’m in love with these cocktail glasses! XO! Their green chili vodka is aaamazing, one of the few flavored vodkas that I utilize! Arn’t they darling? Found them at a local vintage store!